Using an LMS comes with its own unique sets of challenges, but can they be avoided? We think so! 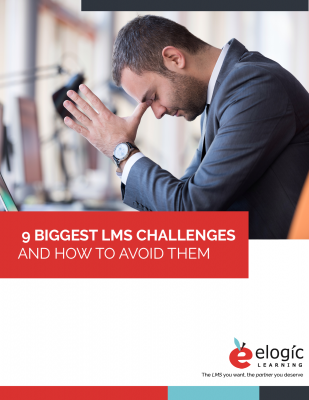 Here are the top nine LMS software challenges as well as our own tips on how to avoid them. Ask about integration capabilities upfront and whether these integrations are included or are extra. You'll want to figure out how customizable/configurable the system is and whether it fits your needs. Keep future needs in mind when looking at LMS vendors, some may look good right now but can they scale as you grow? Software is never bug-free, but we'd encourage you to ask any potential LMS vendors about how buggy their system is.